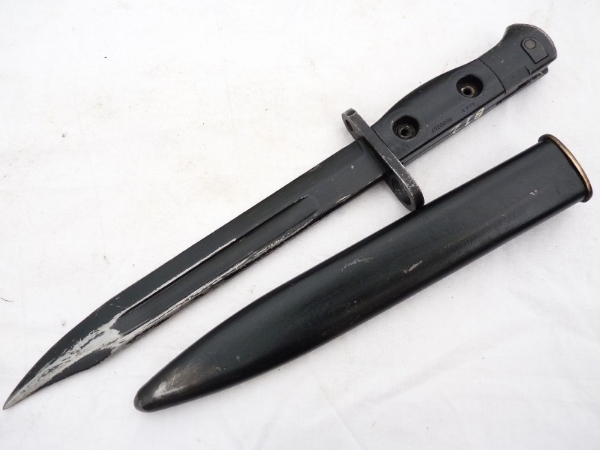 This is a SLR L1A3 bayonet and scabbard in good used condition, as fitted to the British issued SLR rifles. 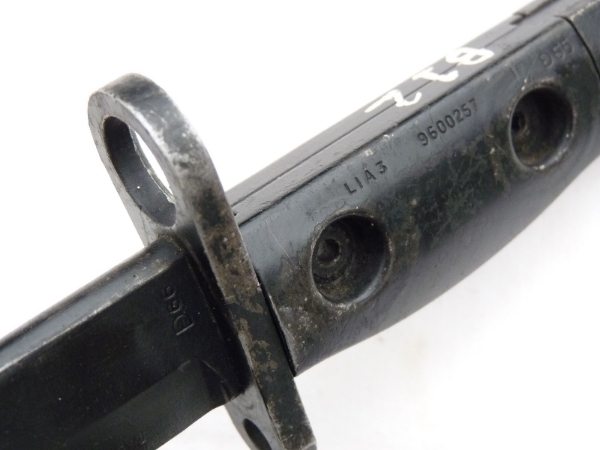 Marked with the superimposed ED Enfield symbol followed by 66 on the ricasso, it has all steel rivetted grips, marked L1A3 9600257 on the left and right side, and ED 65. 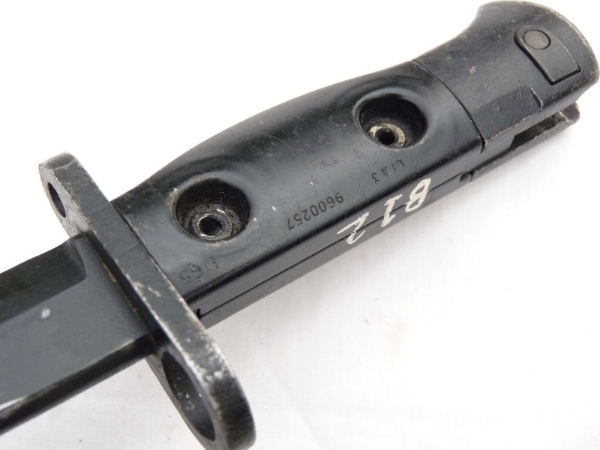 The characters B12 are painted on the top of the grips. 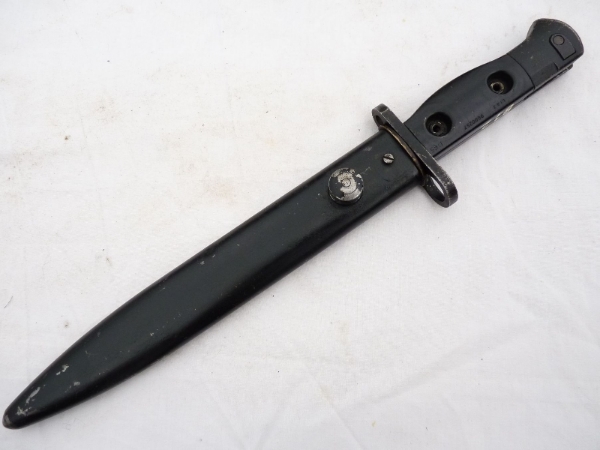 Excellent edge and point to the partially worn black coated blade, good release button, and good complete and undented scabbard with an Enfield mark on frog-stud. 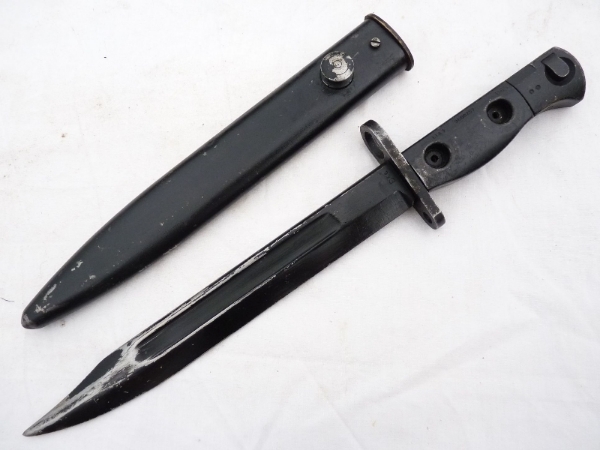 Frogs also available for £5 post free with bayonet.